Lick the Spoon chocolates have been stocked seasonally by Harrods , Harvey Nichols and Selfridges and have a dedicated display area at Liberty of London. 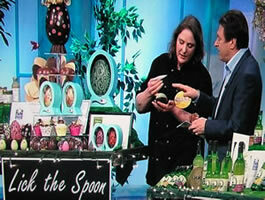 Nigella Lawson, Alan Titchmarsh and many Cotswold based celebrities are all Lick the Spoon fans (hurrah!). Diana has now begun to pass on her vast knowledge to a small talented team. 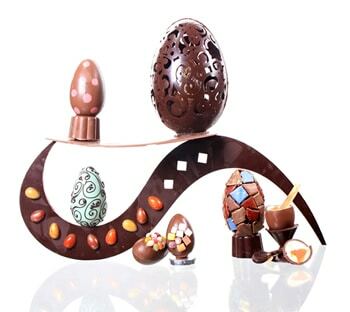 Together, they produce the existing portfolio of products, brainstorming to invent new seasonal specialities from individual fresh chocolates to elaborate display pieces and stunning chocolate wedding cakes. It’s really rather fun and all very delicious!